Watch the full presentation by Michelle Delk of Snøhetta at the riverwalk design alternatives community event at Clackamas Community College on November 17 - and then give us your opinion on design concepts by taking our short online survey! 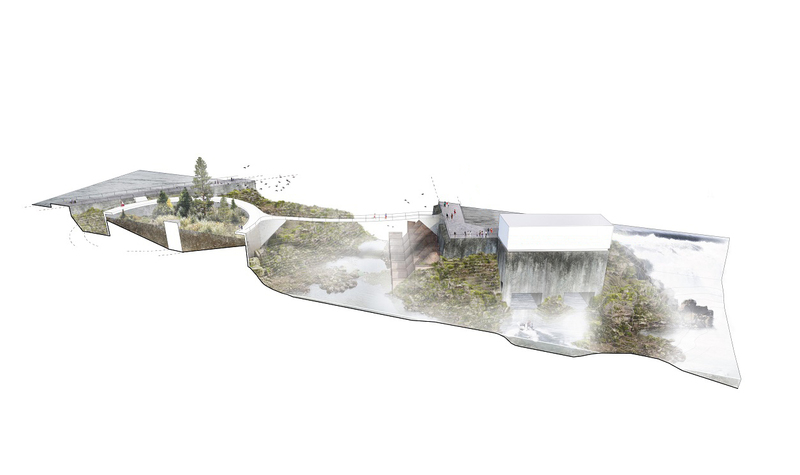 Snøhetta has also created a living calendar of Willamette Falls happenings. This calendar shows in graphic form, things that currently happen at the falls, such as wildlife migrations, PGE dam activities and water flows. It also includes results from community input about the activities that people would like to happen at the falls in the future, by season. For example, falls viewing has consistent level of interest throughout all four seasons, while river access is more popular in the summertime. The bar charts that are layered in to the calendar demonstrate this input for each of the key uses of the riverwalk. As we gain more understanding throughout the design process, this calendar will be updated. Download the calendar PDF here.